Eliminate the time, cost and headaches from sending paper checks. Simply send us your payments file and we do the rest. Earn cash back on your AP spend. Reap the rewards of greater efficiency, enhanced security and higher returns. Simply get more from your payment optimization efforts. 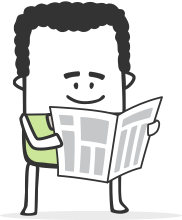 Viewpost makes it easier and offers more ways to save more. Already have a payment optimization program? Let Viewpost work alongside your current provider to save even more. Choose a business tool with built-in security. Bottom line is, there's more to protect than your bottom line. Viewpost makes it simple. Each time we receive payment instructions we actively convert suppliers to receive electronic payments — if we can’t, we send a check, so you don’t have to lift a finger. Every payment is an opportunity to earn cash back from virtual credit cards and ACH payments. Even if you have a program in place today, Viewpost can save you even more. With Viewpost, it’s easy to optimize payments. Plus, you get more ways to activate suppliers and more ways to deliver payments, which adds up to more ways to save and earn more. Pay or be paid. It's all good. Viewpost streamlines payments for large companies and provides a free online portal for vendors to view payment history and remittance information. Plus, if suppliers want more, they can subscribe and use Viewpost to send and receive invoices and payments to and from all their trading partners. Send electronic payments to suppliers without sharing sensitive bank information, or the hassle of printing checks, stuffing envelopes and adding postage. 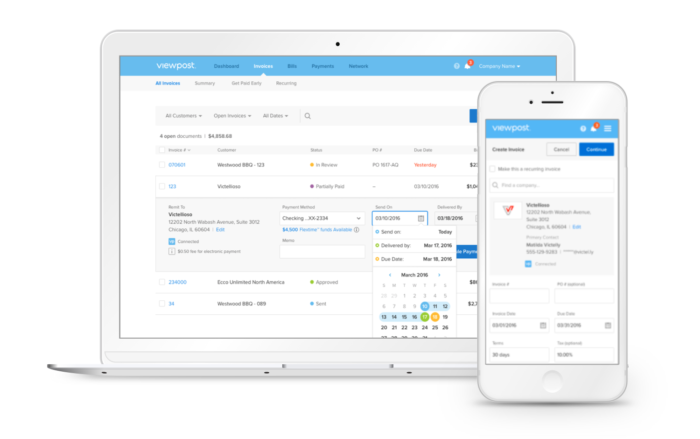 Maximize your AP spend by sending payments through Viewpost. The more you pay through Viewpost the more you save. Streamline your processes with a custom Viewpost deployment designed to accommodate your organization’s workflows. 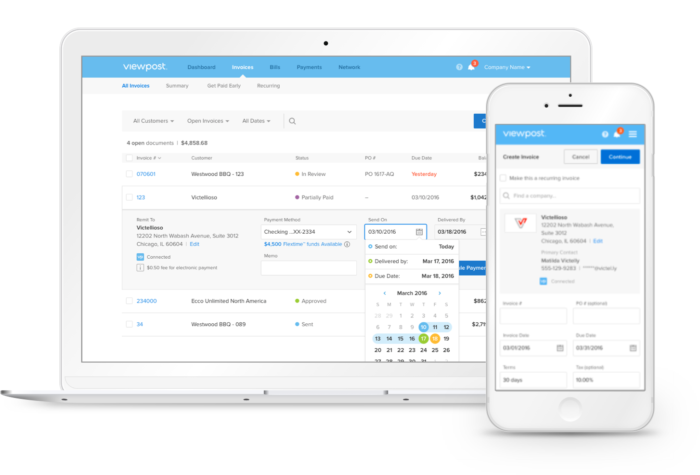 Create, send and track online invoices with Viewpost at no cost to you or your customers. It’s time to file away paper invoices for good. Never wait for the mailman again. Receive electronic payments securely in your business bank account through the Viewpost network. View the real-time status of invoices and payments to access working capital on demand or earn risk-free, double-digit returns. Streamlining payments is even easier with a quick guide to securely connecting your business bank account. Send payments through Viewpost and we optimize delivery across virtual card, electronic payment and paper check. Taking control of your cash flow is simple with Viewpost Express® dynamic discounting. See how it’s done.